Taking blood pressure (BP) is important part of routine medical checkups because the high blood pressure can be an indication of the health problems of the future, like heart attack (myocardial infarction), stroke, kidney disease, dementia, etc. So, checking blood pressure is important, especially when you have been asked to do so by your physician. So, how to check your BP at home? And what's the best time to take blood pressure? These questions and other queries related to blood pressure will be answered in this article. What Is the Best Time to Take Blood Pressure? Blood pressure fluctuates during the whole day. Typically, it is lowest right after waking up, and varies by up to 30% in the rest of the day. These variations are actually the results of the hormonal changes, variations of the activity levels, eating, etc. Thus, you'd better take blood pressure reading an hour after waking up, before breakfast or any morning exercise. If you want to take two BP readings daily, then take the second reading after an hour of the dinner. 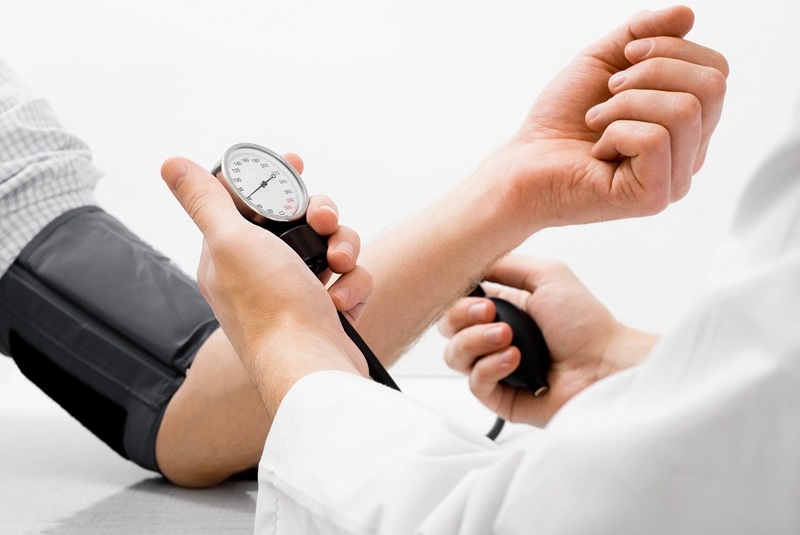 Your physician might suggest you to take the blood pressure at the same time on daily basis. But, indeed, there isn't a single best time to take blood pressure. And the decision of allocating a good time to check the blood pressure should comprise of the function of three things: the reason why you are checking your blood pressure, what your schedule is and which time is convenient for you. If you are having your blood pressure checked by your physician, he will likely try to schedule the checkups at different times. This is done for a purpose to gain the blood pressure readings at different situations. The measurement of blood pressure at different times gives a more accurate depiction of average and overall health situation. The differences in activity level, stress and the hormonal changes are accounted for it. If you are checking the blood pressure for monitoring the effectiveness of a treatment, you might be checking it at home or by regular visits to doctor. The measurement of blood pressure at the same time in different days would most probably have the same results, except for the outside influences like exercise in that time. It is much easier to see the effectiveness of treatment by measuring the BP at same time. While choosing a best time to take blood pressure, the time should be decided according to the feasibility in your schedule. Because the part of the day selected for the checkup should not be disturbed by any work or the other conflicts. Are There More Tips to Obtain Accurate Rate? The knowledge about the blood pressure checking apparatus and procedure is important in order to check it accurately. Here are some tips to increase your knowledge in this regard and help you get more accurate result. Check your device's accuracy: This is actually very important to be considered while taking the BP readings. Because if the apparatus will not be able to provide accurate readings, the whole purpose of this checkup will be ruined. Avoid tobacco, caffeine, food or alcohol for about half an hour before the reading: You need to be fully relaxed; you can also go to washroom for urination because the pressure of urine in bladder can also affect the BP reading results. Sit in a relaxing quite mode: Before the measurement of blood pressure, sit in a comfortable posture with the legs and ankles uncrossed and the back supported. Try to be calm and don't think about any stressful thing. Make sure that the arms are positioned rightly: You should use the same arm for the measurement of BP. Raised your arm to the level of the heart, and rest it on a chair, table or the desk. A pillow or the cushion might be needed to place under the arm. Place the cover on the bare skin: The cover should be placed on the bare skin. But the rolling of the sleeves to such an extent that it starts causing tightness around your arm should be avoided, because it can alter the results of BP. Take a repeated reading: After taking the first reading, wait for two to three minutes before taking the second reading. The second reading is taken to confirm the accuracy of the result. In this way, you can get good results within the best time to take blood pressure. You can also watch the video below to know how to measure blood pressure correctly.